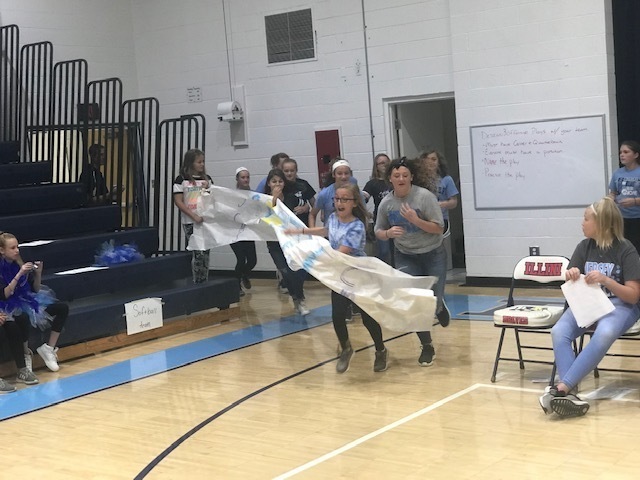 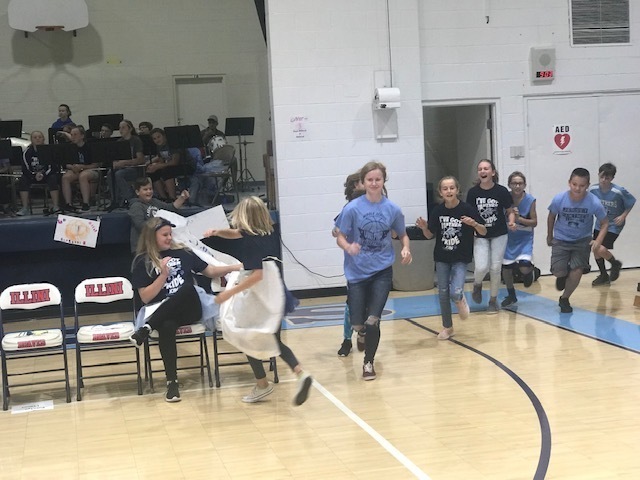 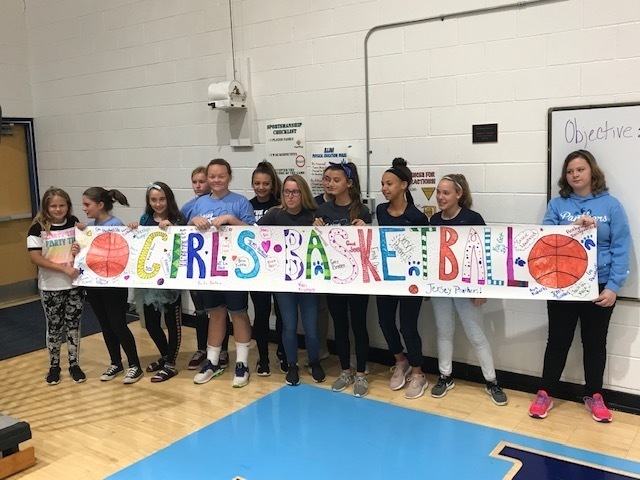 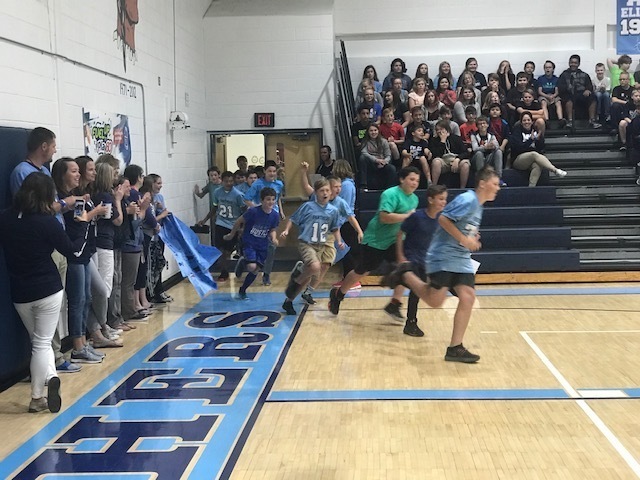 JCMS students and staff were honored on Friday, October 5 during our annual Fall Sports Assembly. 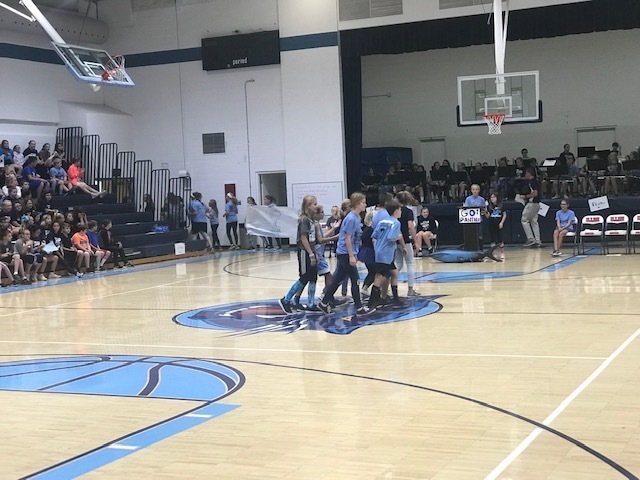 The assembly was completely student led by our Panther Pride Club and featured pep songs by our school band, spirit cheers by some faculty and students, and honored our fall student athletes. 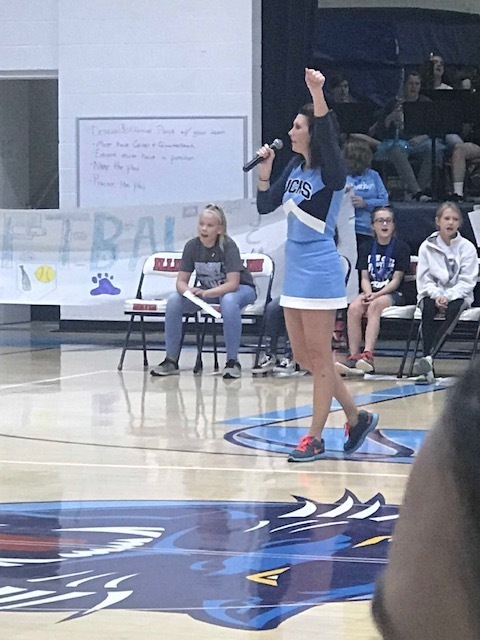 This special event was scheduled in conjunction with Homecoming week as we strive to instill Panther Pride, school spirit, and our appreciation for the great things our students/staff do on a regular basis. 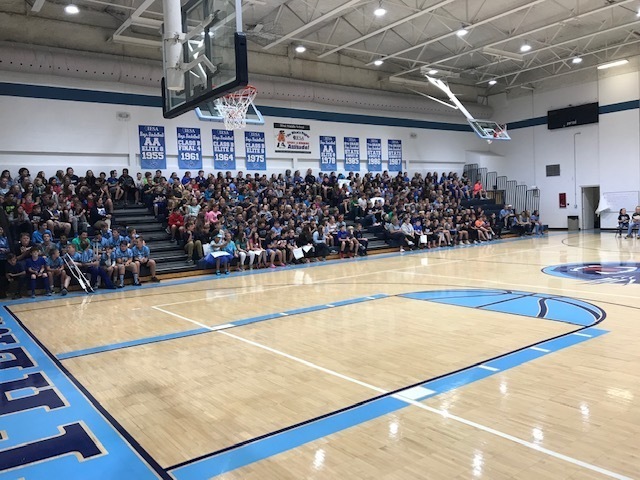 Three students received special recognition from our student council as "Students of the Month" for September and our entire custodial crew were also recognized as "Faculty/Staff Members of the Month." 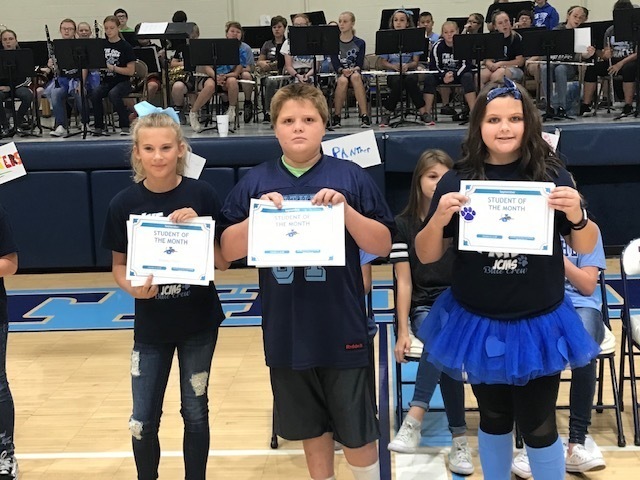 Students of the month pictured below are Ariana Davis (5th Grade), Jordan Pace (6th Grade) and Nicole Ayres (7th Grade). 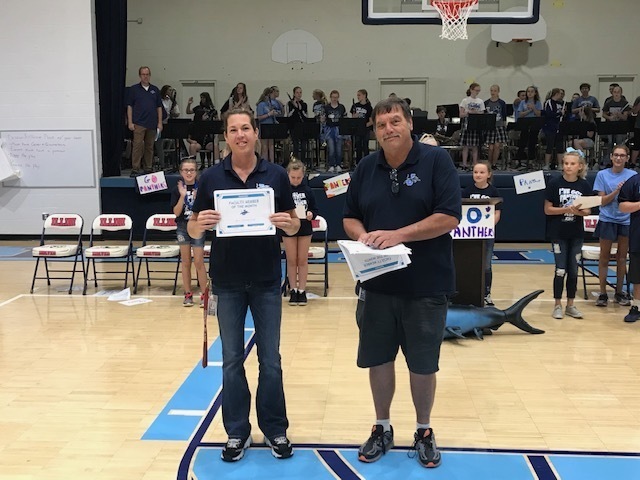 Jim Woelfel and Ginnie Goff are also pictured on behalf of the custodial crew.